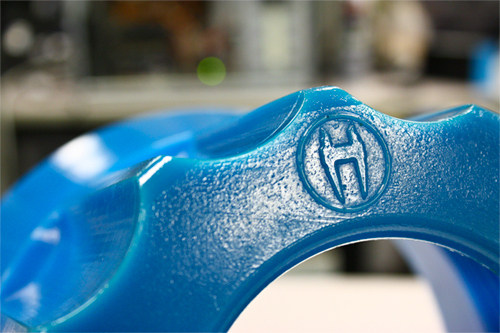 Hi-Tech Seals aids in the design and improvement of cast urethane applications. Our representatives gather vital information on the new or existing component. Our draftsmen then use this information to generate a detailed computerized 3D model of your component. From there, the drawing is sent to the Objet24 3D printer to generate true-to-life model of the component. The 3D printer eliminates much of the labour in creating a mould. The printed model is used to create the cavity of the mould. For components that exceed 8”, Hi-Tech Seals can manufacture tooling in our Winnipeg machining facility. Manufacturing a mould would also be ideal for smaller, more basic components. Hi-Tech Seals can further tailor your component by including a part number, and company logo. Once a mould is created our team can begin formulating you custom urethane compound.